« In Which the Pirate Runs Out of Yarn. Ta-daaah! 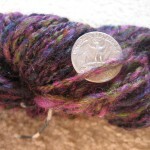 My very first finished handspun yarn! 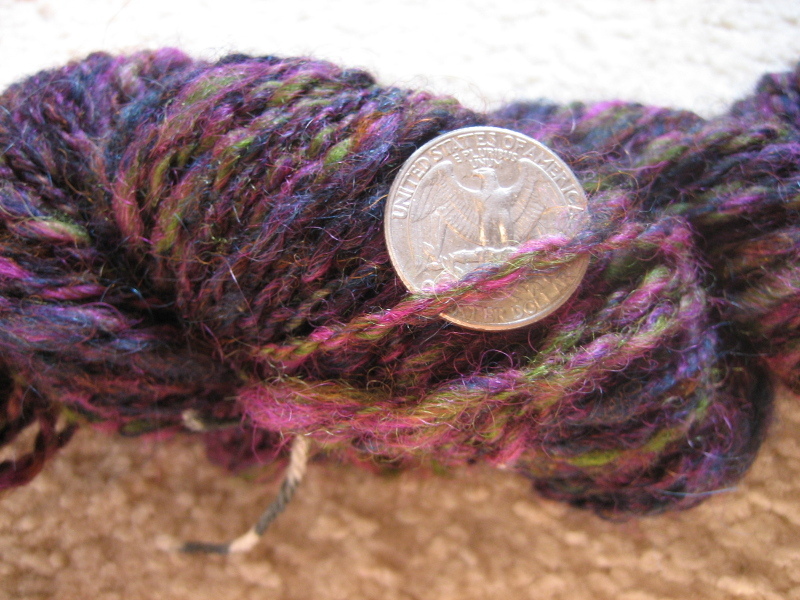 This came from Romney roving that I bought last year at MD Sheep and Wool with Janis, and I finally got around to spinning and plying it. It's a bit uneven in parts, but I'm sure I'll improve with practice (it would probably help to have a better light source, too). Still, I'm excited! I'm going to try a three-ply with what's left on the bobbins. There are also three toilet paper roll bobbins of singles that were spun up on the drop spindle. I'm going to ply those on the wheel as well, and remember that I spun the singles in the opposite direction, so I need to ply them the other way from the first batch. I have no idea what I'm going to make with this stuff. I have 66 yards of it. Any suggestions? This entry was posted on Wednesday, May 7th, 2008 at 17:14 and is filed under spinning. You can follow any responses to this entry through the RSS 2.0 feed. Both comments and pings are currently closed. Beautiful first yarn! I did a hat with my first yarn and I had just enough. Should make a lovely hat!